Sports fans LOVE showing their team pride by gearing up. They can’t get enough of the different colored hats, jerseys, socks etc. Why not use team spirit as a way to give back? Create a Bidr event and auction (or raffle) off jerseys or special event shirts. Bonus points (and a lot more value) if the players actually wear the shirts then sign them for fans and pose for pictures. 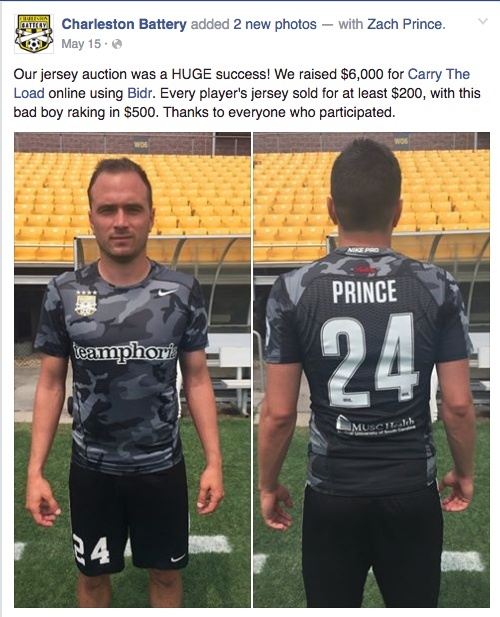 The Charleston Battery professional soccer team held a “Player Worn Jersey Auction” and literally auctioned the jerseys off the players backs! Fans texted “jerseyauction” to 855-735-BIDR (2437) to join the auction. They received a welcome text customized by the Charleston Battery with instructions on how to register and bid. The auction was held on Military Appreciation night at the stadium. 24 camo jerseys were auctioned off. Each jersey had a minimum bid of $100 with $10 bid increments and a $1000 “buy now” price. All of the jerseys sold for at least $200! At the end of the game the players took off the jerseys, signed them and presented them to the auction winners on the field. The Battery raised almost $6,000 and the money was donated to “Carry the Load,” an organization that honors members of the military. ← How to plan a successful golf tournament. → Add a “Donate Now” button and use Facebook to Fundraise for your nonprofit organization! Add a “Donate Now” button and use Facebook to Fundraise for your nonprofit organization! Stephanie Pratt on How do I set up a TEXT TO DONATE campaign for my event or organization? 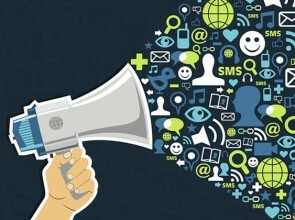 Stacey on How do I set up a TEXT TO DONATE campaign for my event or organization?